This is a snippet from a CML Pro dossier published on 7-11-2017. While the self-driving revolution feels futuristic, it isn't. For our Spotlight Top Pick Nvidia, it's right now, and it's happening with the Toyota, the largest, by market cap, car manufacturer in the world. 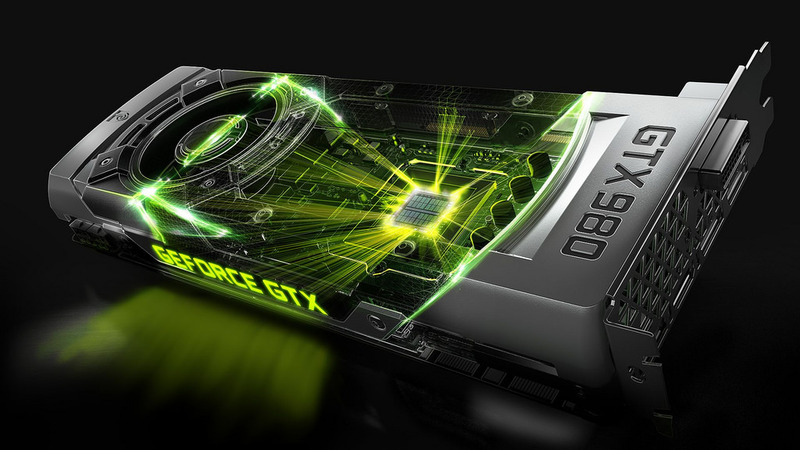 Nvidia Corporation (NASDAQ:NVDA) was added to Top Picks on January 4th, 2016 for $32.25. As of this writing the stock is trading at $164.95, fully 411% higher. There are so many themes that Nvidia is pursuing and leading in that it's constructive at times to focus on one at a time. We focused on the cloud in our recent dossier from 5-14-2017, Nvidia - There's More, where we touch on the massive opportunity Nvidia has with Facebook. Facebook Inc. revealed that it has employed NVIDIA's GPUs to power its next-generation GPU server called Big Basin. As part of the companies' collaboration, the NVIDIA DGX-1 AI supercomputer will be the first AI system to offer Caffe2 within the optimized software stack for deep learning. We encourage a read of that dossier to catch up on the news. We also encourage a read of the dossier published on 5-10-2017 Nvidia Crushes Earnings - Is Attacking Intel. But today we will focus on self-driving cars again, and it is becoming plainly obvious that this "cool idea" is going to be a multi-billion enterprise for Nvidia -- and that's from just one of its 50 customers. On 3-18-2017 we published Nvidia Makes Huge News in Self-driving Cars. To be extra clear -- Nvidia has entered this partnership to power self-driving trucks around the world, not just the United States. On the automobile side, Nvidia announced a partnership with Bosch, the world's largest automotive supplier. But even before all of this, Nvidia had made partnerships with every major automobile manufacturer in the world -- that's over 50. On the heels of all that news, on May 10th of this year, Nvidia announced a partnership via the press release "NVIDIA and Toyota Collaborate to Accelerate Market Introduction of Autonomous Cars". Toyota, one of the world's largest automakers, will use the NVIDIA DRIVE® PX AI car computer platform to power advanced autonomous driving systems planned for market introduction. Today's announcement with Toyota is the strongest indication that this autonomous future will soon become a reality. While the news was big, the broader market didn't have that much of a reaction. Remember, as I said on CBC, cognition is the issue here with self-driving cars, it still has not found a home in our minds that this technology is not only real, but it's happening right now. Fast forward to today, July 12th, and Nvidia stock is on the rise from this news that is now two-months old, and here's why. Rajvindra Gill of Needham & Co. finally turned his attention to the Toyota deal and what he found after speaking with Nvidia's management was nothing short of enterprise changing. Our meetings with Toyota confirm that it has aggressive plans to deploy Level 2 Advanced systems in mass market in the U.S. and Japan over the next 2.5 years. All of these systems will be on NVIDIA's Drive PX Xavier platform. From this deal alone, assuming ASPs of $150-$250, we calculate $1BN-$1.7BN of incremental sales or $0.35-$0.65 EPS. If we think about what the model would look like in CY19/CY20, we calculate earnings power of $5-$6, and believe should be valued at 40x P/E (currently valued at 37x). For the record, and for context, Nvidia's total revenue in the trailing twelve months (TTM) is $7.5 billion, which is up from $5.2 billion a year ago, or a 46.0% one‑year change. If Toyota is going to mean ~$1.5 billion for this partnership in self-driving cars alone, we're looking at a 20% rise in Nvidia's total revenue. This is one partnership, in one area of technology. In the latest earnings release Nvidia noted that automotive revenue grew to $140 million, up 24% year over year, and was a record. But now we're looking at $1.5 billion from one company in two and a half years. The ramifications of the Toyota deal are finally hitting Wall Street about six-months after we noted these same realities, but Wall Street is still behind, in our opinion. While the market is now digesting the Toyota deal, it appears to have left out the rest of the self-driving momentum Nvida has built. Since our DRIVE PX 2 AI car platform began shipping just one year ago, more than 225 car and truck makers, suppliers, research organizations, and startups have begun developing with it. That number has grown by more than 50% in the past quarter alone, the result of the platform's enhanced processing power and the introduction of Tensor RT for its in-vehicle AI inferencing. In our recent dossier from June 20th, 2017 we simply wrote "Nvidia's Upside is Still Misunderstood." In that dossier we discussed the cognition problems that Wall Street and Main Street are having with the technologies Nvidia is pushing forward. [W]hile there could very well be a volatile period coming in the market, if we extend our view out to several years, it appears that Nvidia's potential markets keep growing as the public consciousness begins to catchup with the reality that as we move toward the 100 billion device mark in the Internet of Things (IoT), demand for faster, smarter and better will not run out.